Home » Resources » eCook: What behavioural challenges await this potentially transformative concept? This paper aims to identify and understand the challenges that may confront the scaling up of a proposed battery electric cooking concept (Batchelor 2013), eCook, which offers the potential for emission free cooking, with time/money savings and broader environmental benefits from reduced fuelwood/charcoal consumption. 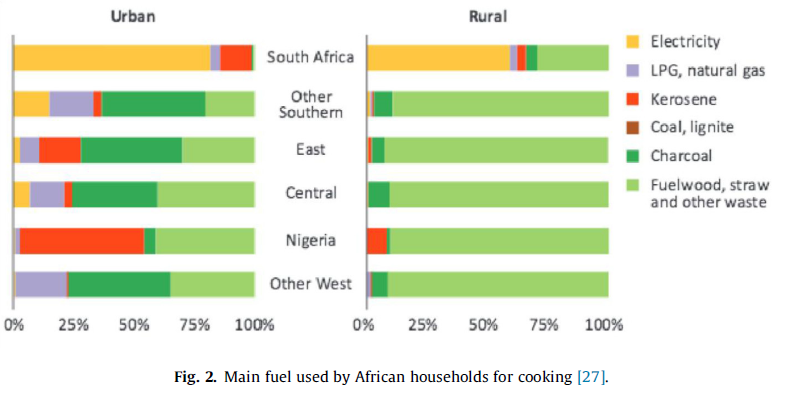 By drawing on the literature on the transition to electric cooking in South Africa and more broadly, literature from across the Global South analysing the uptake of ICS (improved cookstoves), LPG (liquid petroleum gas) and solar home systems, this study identifies the factors (e.g. successful delivery models and marketing strategies) that have enabled these innovations to reach scale. This knowledge is then related to the eCook concept, by identifying the potential users of this promising technology and outlining potential marketing strategies, as well as a user-focused iterative design process, that will enable social enterprises to reach them. Uptake is predicted to be most rapid in hot climates where fuelwood/charcoal is purchased and low energy diets and low power cooking devices are the standard. Mobile enabled fee-for-service (utility) business models, the establishment of a service network, awareness raising campaigns on the benefits of clean cooking, female-focussed training programmes and bundling eCook systems with locally appropriate appliances to enable productive activities are seen as key to reaching scale.